For a limited time, purchase a new 60in HP DesignJet Z6800 Printer for just $4,995 and get a free 2-year Care Pack, with next-day onsite service included. A combined value of $16,514, for only $4,995! Care Packs will be processed after the printer purchase and sent via email confirmation. Quantities are limited and inventory won't last long. Turn orders in record time with the HP DesignJet Z6800 60-inch production printer for graphics with exceptional color and black-and-white output on many substrates. 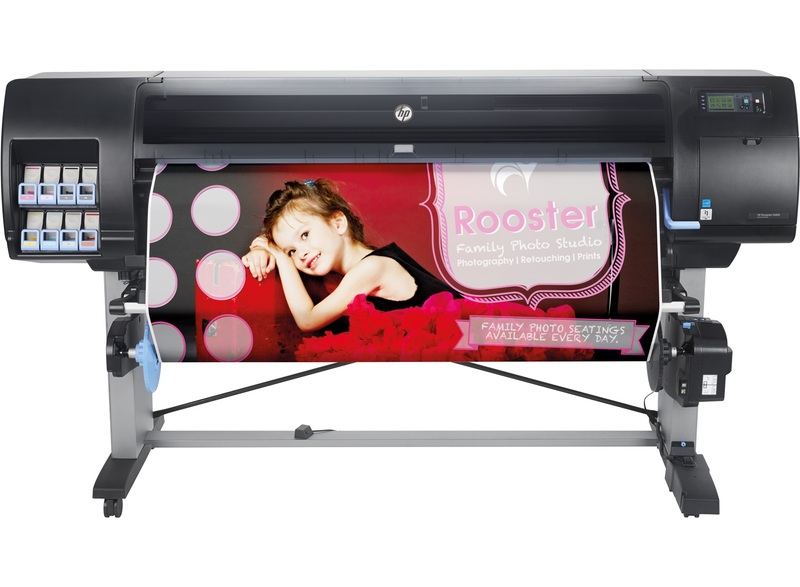 Count on advanced color management features backed by HP reliability and easy operation. Print as fast as 1500 ft2/hr in fast mode and 212 ft2/hr in high-quality mode. Create quality prints at top speed with HP Double Swath Technology and the HP Optical Media Advance Sensor. Confidently print unattended thanks to long media rolls, 775-ml HP ink cartridges, and a built-in take-up reel. Assure color fidelity with advanced color management features, including an embedded spectrophotometer, as well as HP Chromatic Red Ink for a wider color gamut and uniform gloss.